Warrantless checkpoints in the city of Liberty, Kentucky that were used by authorities to interrogate drivers who refused to display a sticker in their vehicle have been ruled unconstitutional by the Kentucky Supreme Court. Residents who refused to buy the $10 dollar sticker were targeted after city officials ordered police to set up roadblocks. Those displaying the sticker were allowed through but refusniks were interrogated and had their vehicles searched, a clear violation of the Fourth Amendment. After the state Court of Appeals disagreed with the Casey County Circuit Court and claimed the checkpoints to be justified, the Kentucky Supreme Court stepped in and unanimously ruled that the city had no reason to stop motorists. The court also added that authorities chose the most invasive method to find residents who had refused to display the ticket. 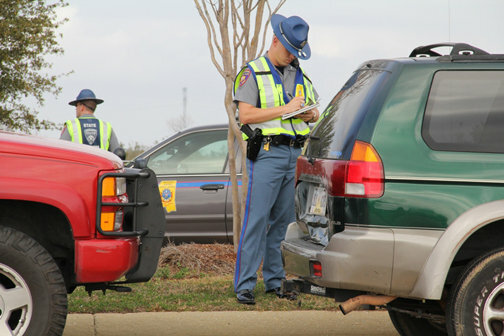 Given the fact that it was known those refusing to display the ticket were teachers, officers could instead have simply visited the school parking lot instead of setting up roadblocks. “Through a series of decisions, the US Supreme Court has authorized suspicionless roadblocks for the purpose of finding illegal aliens up to 100 miles from the border, verifying drivers’ licenses and registrations, looking for drunk drivers and responding to a specific crime that took place on the same highway as the roadblock. A dozen states have disagreed with these practices and outlawed one or more of these types of roadblocks by citing their own state constitutions. The Kentucky Supreme Court found none of these exceptions applied in the case at hand,” reports TheNewspaper.com. The federal government is also expanding its use of highway checkpoints under the auspices of the Transportation Security Administration. In October last year we reported on how Tennessee’s Homeland Security Commissioner announced that a raft of new “security checkpoints” would be in place over the Halloween period to “keep roadways safe for trick-or-treaters”. The DHS is also expanding checkpoints at border crossings that force drivers to pass through X-ray scanners similar to those in airports that fire radiation into the body and have been linked to cancer by numerous prestigious health authorities.